Are you in need or restocking your inventory? You are purchasing a wholesale lot of assorted health and beauty items. This lot contains approx. 50items. The mixture in this lot is huge. 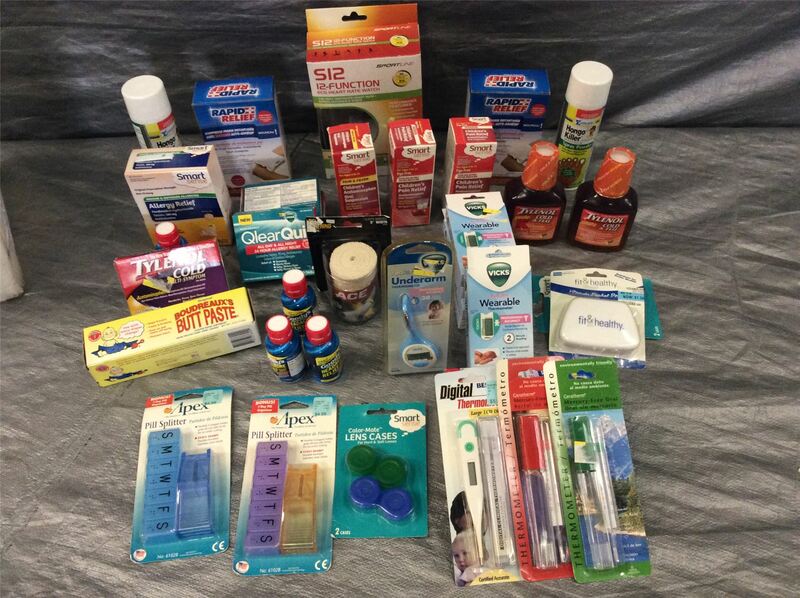 It contains medications of all sorts, ace bandages, medicine crushers, theremometers, and so much more. The items are all new, Mostly still in retail, sealed packaging. All items have different expiration dates, most all the items have not reached thier expire date. Click the button below to add the Wholesale Lot of Assorted Health and Beauty Items, Huge Assortment, Lot of 50 Items to your wish list.